We collect and smell the best fresh truffles all year round between scent, poetry and mystery. Nacque da un fulmine di Zeus, perciò la sua origine è divina. Cresce in silenzio, nascosto tra radici e terra fina. La sua gloria aumenta nel rumore dei mercati, ma il suo trionfo vero è nei piatti prelibati. E per ampliare ancora il suo già grande onore induce dopo il pasto i desideri dell’amore. Dei più preziosi aromi egli è il sovrano antico. Ecco il ReTartufo: Tuber Magnatum Pico! The Fine White Truffle, scientific name TUBER MAGNATUM PICO, can be found from the last week of September to December 31. 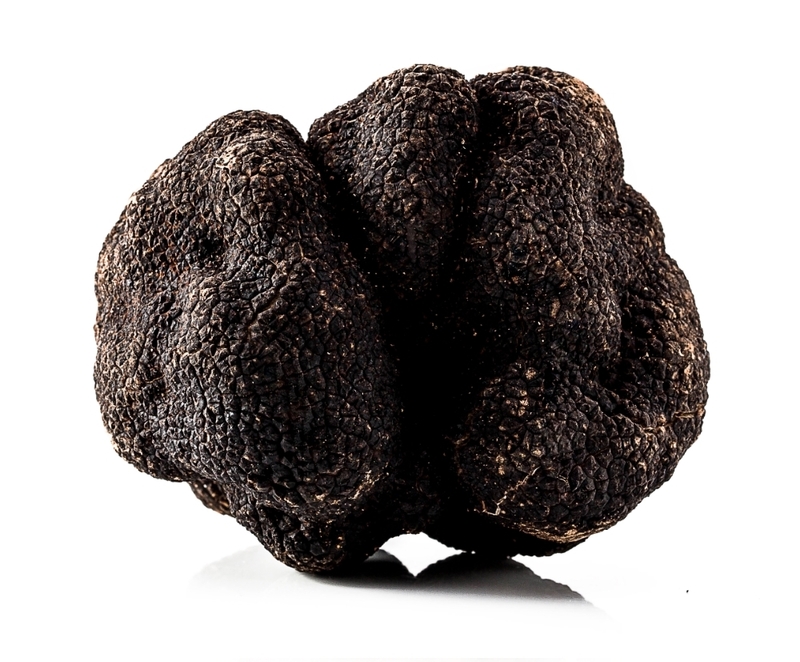 It is considered the truffle for excellence because it has a significant commercial importance. For the Fine White Truffle to develop and thrive it needs special soil with equally particular climatic conditions: the soil must be soft and humid for most of the year, and it must be rich in calcium and have good air circulation. It is therefore understandable that not all soil has these characteristics and these environmental factors make the white truffle not only a rare fruit but also sought after. The truffle, especially the Fine White Truffle, is still a fascinating and unresolved mystery today. 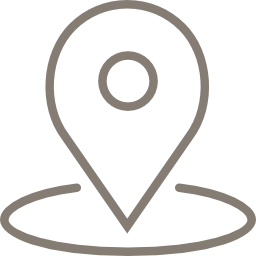 Nobody knows why it develops in one place and not elsewhere. 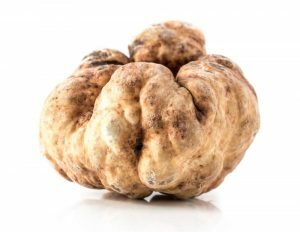 The “Bianchetto” White Truffle, scientific name TUBER ALBIDUM PICO, can be found from January to April. 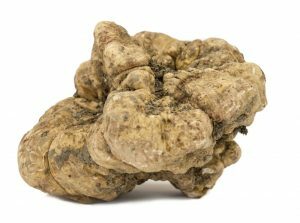 Externally it can be confused with the Tuber Magnatum, because it has the same characteristics, irregular, smooth and off-white but its scent is less strong than the Fine White Truffle, even if its taste is still good, pleasant and intense. 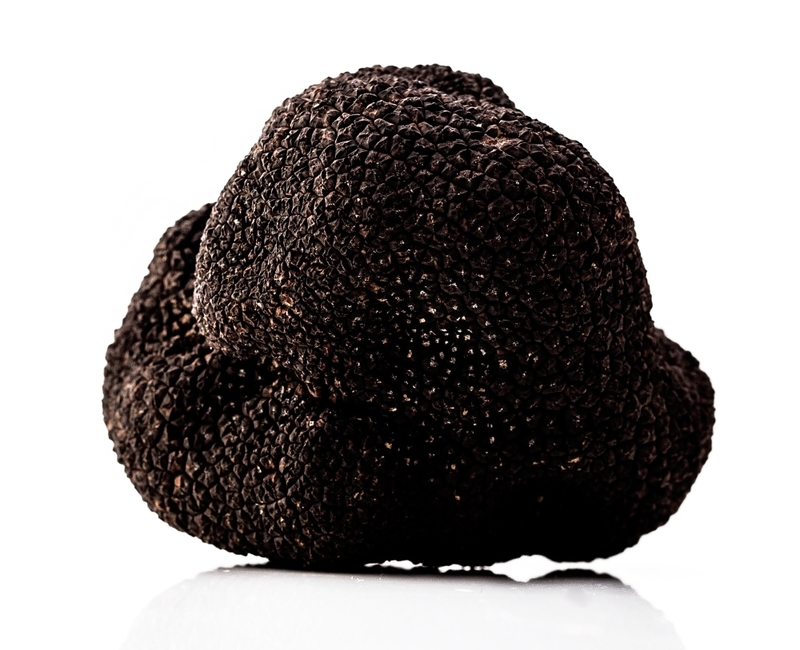 The Fine Black Truffle, scientific name TUBER MELANOSPORUM VITT, can be found from December to March. It grows in hilly and mountainous areas in symbiosis with hazel, oak and English oak. After the White Truffle it is considered the most prized in terms of trade and is one of the protagonists of international cuisine. The Black Summer Truffle (or Scorzone), scientific name TUBER AESTIVUM VITT, can be found from May to December. It grows both in sandy and clayey soils, in broad-leaved woods but also in pine forests. It is very appreciated and used for the production of sausages and sauces. • Wrap each truffle in ordinary paper towel and place it in a closed tin in the refrigerator (+2°C /+6°C), preferably in the area reserved for vegetables. • Remember to change the paper towel every day.